The club was first built in 1947 for the workers of the mill, which was situated opposite the club where the Troydale Park housing estate lies. Troydale Recreational Club is owned by it's members, but is committee and management run on their behalf and is not owned by any sole persons. We have a private function room for hire which seats 120 people, Max Cap 200 people. 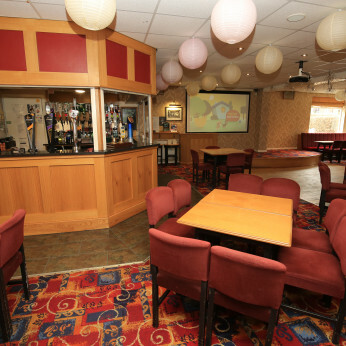 The Club currently has two main rooms, one for private hire and one for other customers/members. We have BT Sports, New Big Screen, Pool Table and a Crown Green Bowling Green. Welcoming new members for just £15 per Adult, ask our friendly bar staff for a membership form. Troydale Club is currently taking bookings for 2019 and 2020. See our Private Room Hire for more details.